Any “This American Life” fans out there? Then there’s the newly engaged couple whose parents, from different states, fly to New York City to meet each other for the first time and celebrate the engagement. In Las Vegas for our Retire Overseas Conference last month, a handful of my colleagues and I were invited to a retirement dinner for international banking expert and long-time speaker at our events, Peter Zipper. João was passing by the restrooms of a European airport when the distinct smell of cigarette smoke made him stop in his tracks. Obviously, nobody smokes inside airports these days, right? Unless, of course, you’re Peter Zipper. Peter will try to nab a quick cigarette in any bathroom… at an airport, conference hotel… you name it. João, of course, had no idea where in the world Peter was at that time. But, curious to see how his hunch turned out, he waited outside, close to that restroom. Sure enough, one minute later, out walked Peter. If you’d like to be at the table with Kathleen, Lief, and some of our top offshore experts… not only to swap stories but to tap into their expertise… we still have a number of places available to join our European Wealth Cruise, April 7–14, 2019. 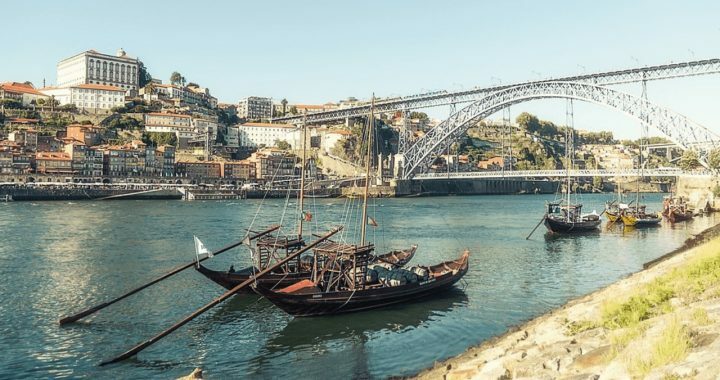 Our plan is to meet in the beautiful city of Porto, Portugal, and depart aboard the luxurious Queen Isabel for seven days of adventure and discovery, experiencing together the history, culture, gastronomy, legendary vineyard estates, and stunning vistas of the Iberian Peninsula… all in the company of open thinkers and world-class wealth experts. This is a rare chance to explore one of the world’s most delightful regions while, at the same time, gaining insights into the best current opportunities for living and investing across Europe. To ensure our time together is productive, we’ve limited our number for this cruise to just 10 attendees. Posted in Live And Invest Overseas Confidential and tagged Conferences, european wealth cruise.